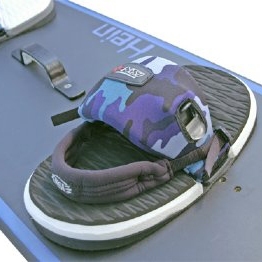 Soft and comfortable, NSI Heel Straps help keep your foot in place on the kiteboard footpad. 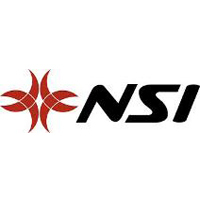 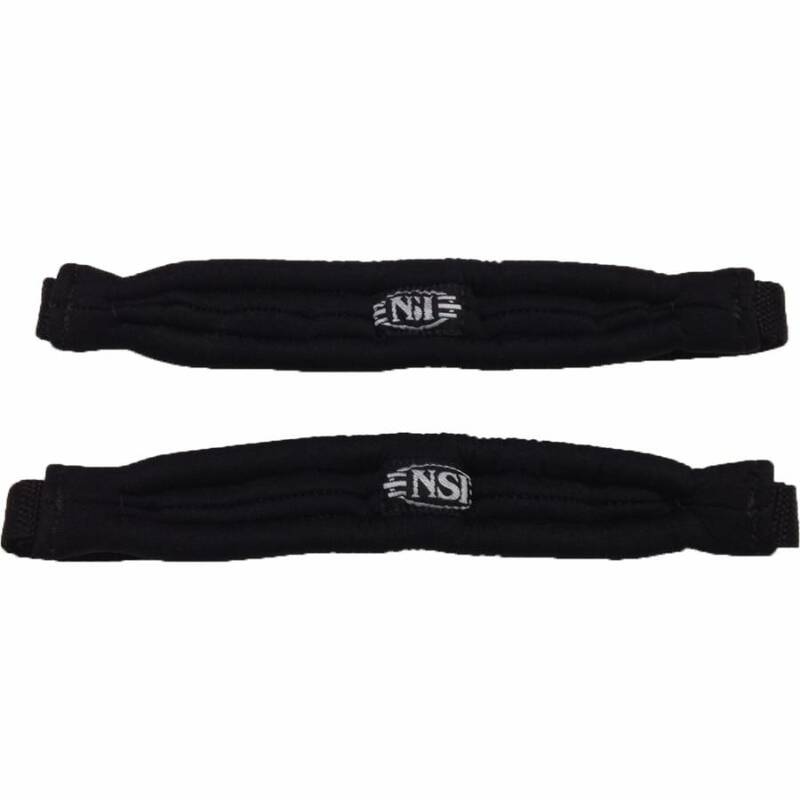 NSI & Hein have designed an attachment method that wraps around the footstrap instead of being sandwiched under it. 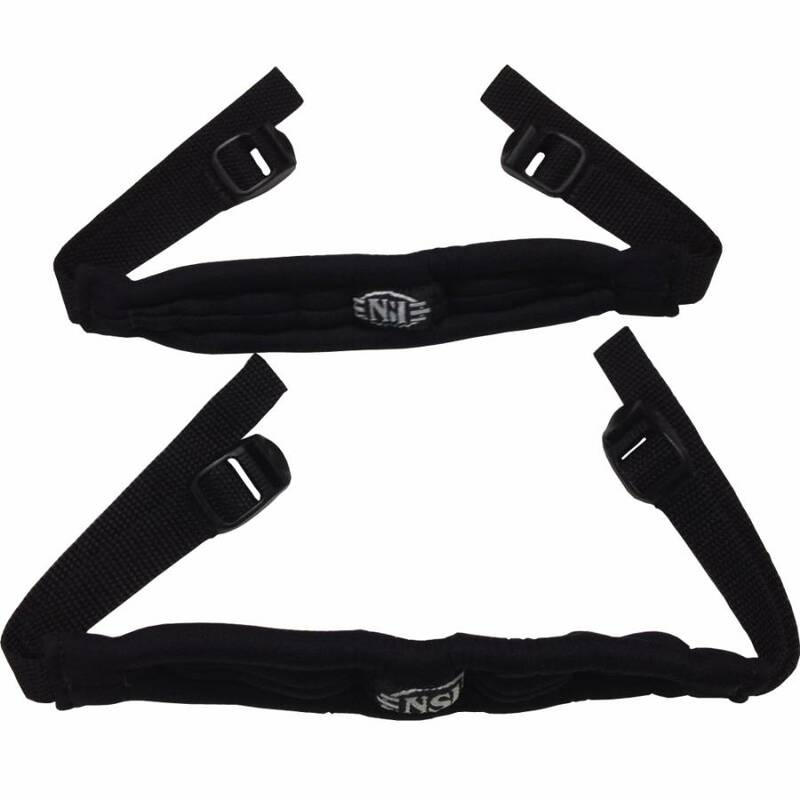 Using a webbing and buckle system, it improves retention by moving the direction of the tension upward, so the strap won't slip off your heel. They are easy to install, adjust and remove without any tools, hardware, or taking the footstraps off. The heel straps can be stowed on top of the strap when not in use. 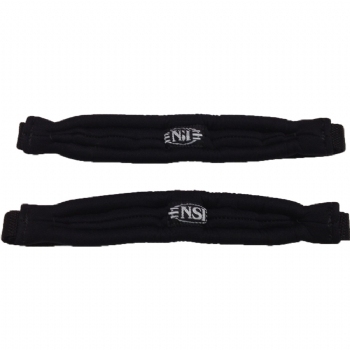 Combine all this with an extremely comfortable soft foam and neoprene.